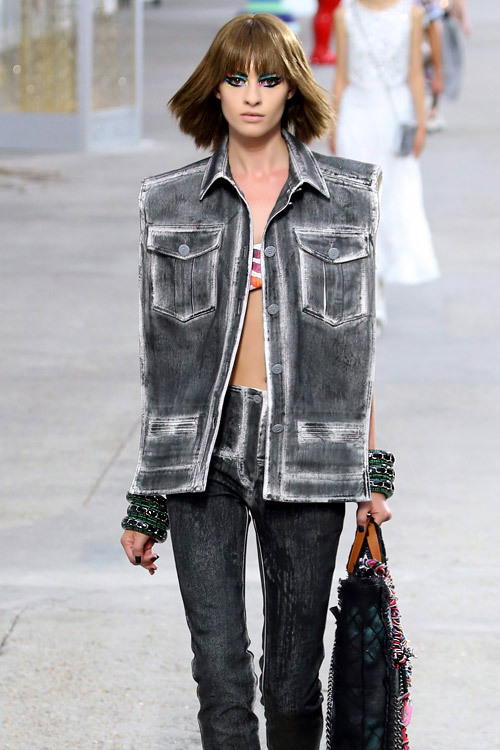 It was highly entertaining fashion show, inspired by art, where some really spectacular looks were presented - blooming chiffon dresses, wearable tunic and trousers combination, youthful matching pink cropped jackets and gray denim plus quilted portfolios [like art students']. 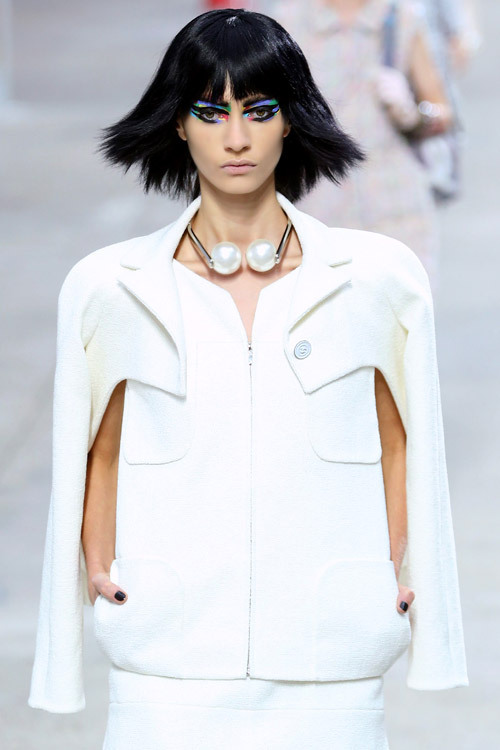 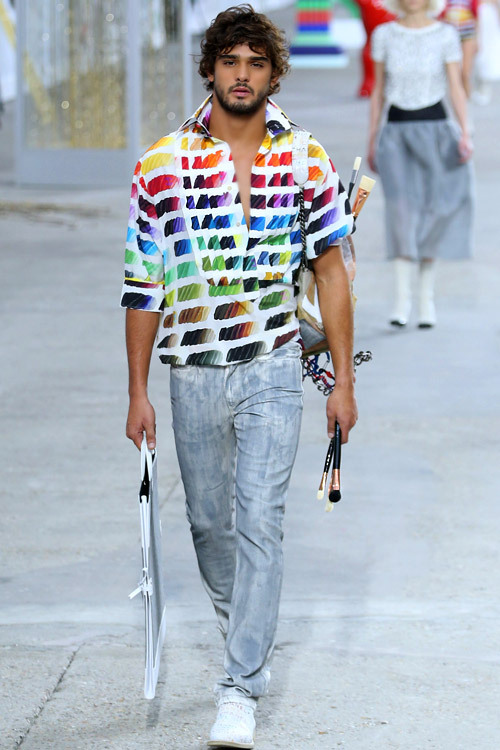 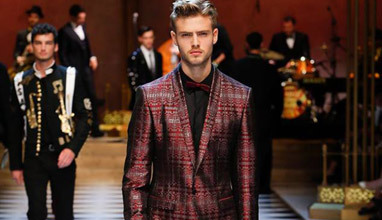 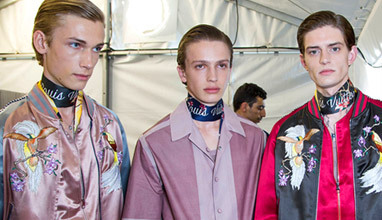 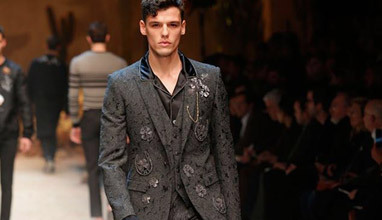 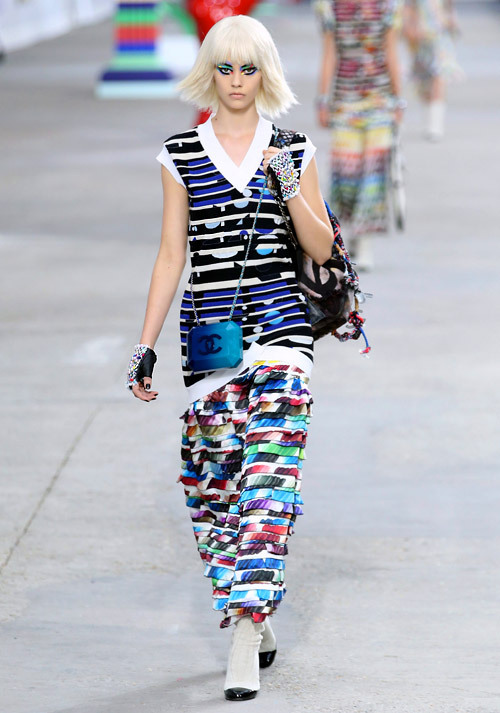 The show's solitary male model shouldered a 'Chanel' backpack from which jutted two paintbrushes. 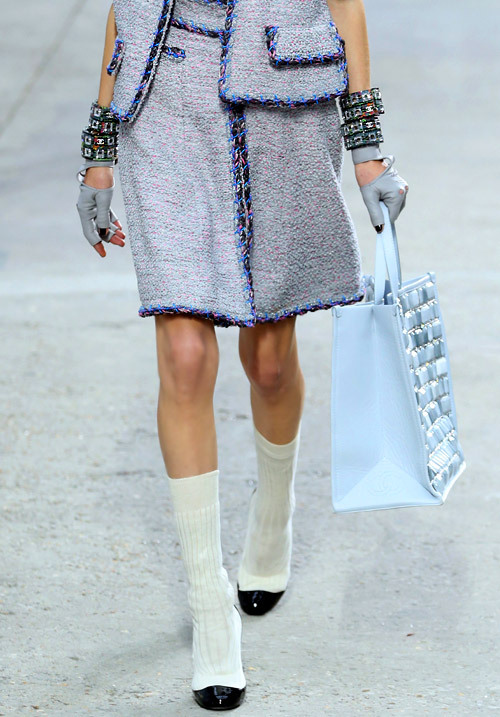 There were some fun accessories like high heels with pre-attached socks and choker with two huge faux pearls that rested at the inside of each clavicle plus gloves and big bracelets. 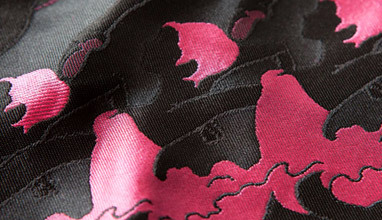 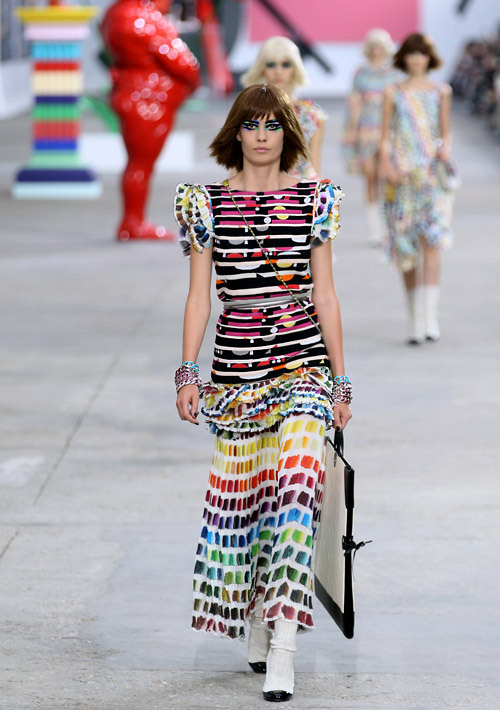 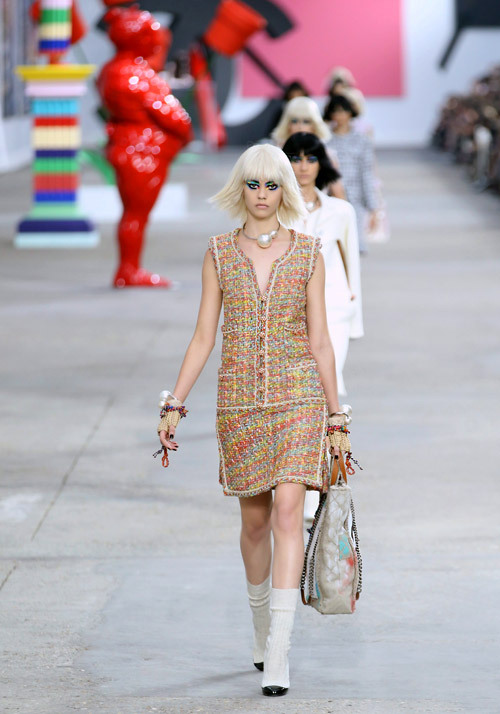 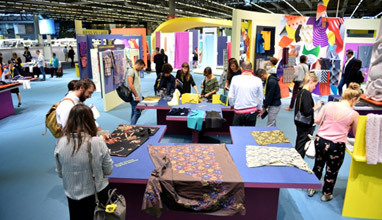 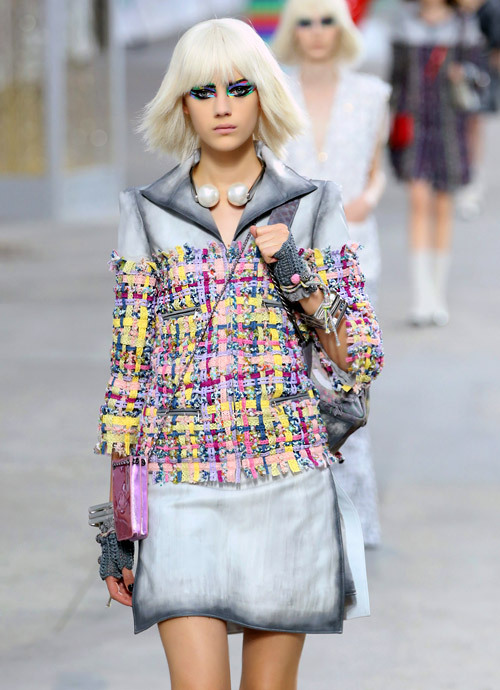 Next year's Spring-Summer 'Chanel' collection is fresh, weird, crazy, awesome, colorful and worked with one of Lagerfeld's strengths: a hunger for the new. 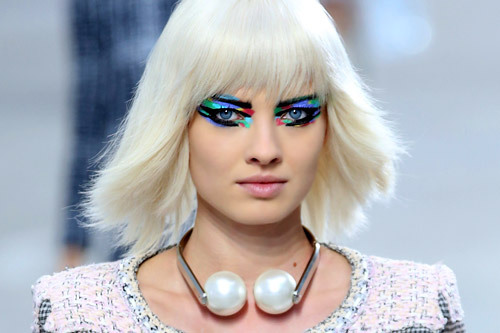 And the make up was really impressive with 'intergalactic rainbow eyes'. 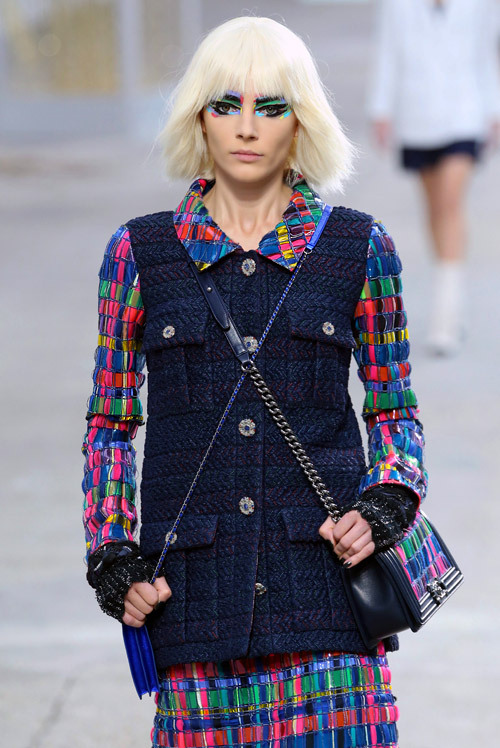 Chanel's choice of soundtrack was Jay Z's 'Picasso Baby' and on the front row were celebrities like Katy Perry, Vanessa Paradis and Rita Ora.